Welcome to the Janis Ian Store, benefitting the Pearl Foundation! 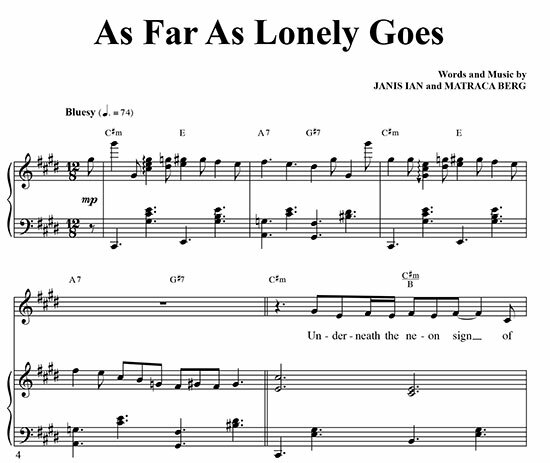 A digital copy of the single sheet music for "As Far As Lonely Goes." This sheet music is delivered in Adobe PDF format. You will need Adobe Reader or Adobe Acrobat to view it. If you have any problems with your order please contact us at merch@janisian.com. We'll get things straightened out very quickly. Kindly contact merch@janisian.com if you experience any problems!